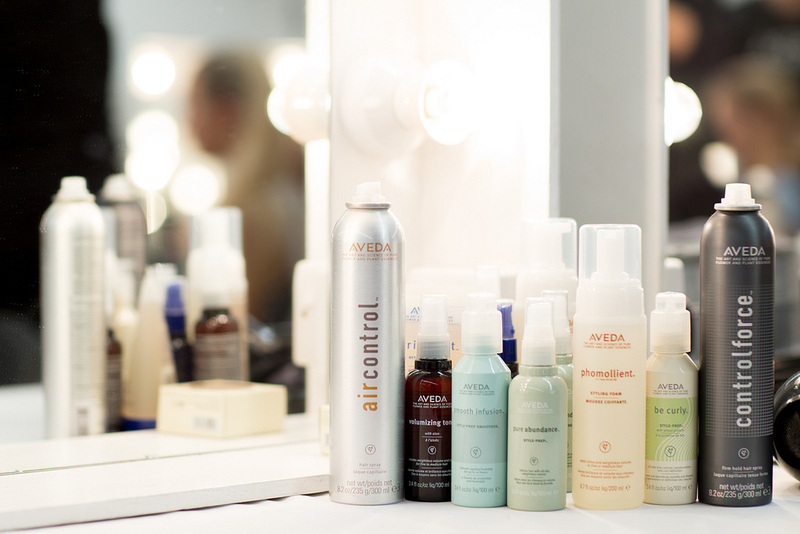 To keep a bright and healthy hair, we can’t just choose whichever shampoo and hair conditioner. When selecting, we need to take into account our hair’s characteristics so we obtain perfect results. For example, whether you have thick hair, you are suffering from hair loss or you use hair dye and you need a product that protects and enhance the hair colour. Finding the right product can take long and makes us waste money without obtaining the desired results. To save time and money, it is better to count on a professional hair stylist that not only can perform the best women haircuts and the latest men’s haircuts, but also will personally advice you about how to repair a damaged hair before hair cutting is needed. In the hair studios, you can get the best hair care products and services in Kerala (State), like haircuts or hair extensions and even other beauty therapies like manicure and skin care treatments. For damaged hair, it is very beneficial to occasionally use hair conditioner that is thought for dyed hair. It has silicone and helps to make your hair look shinny. However, it is better to not use it daily. Try to get your hair dried without using too much heating. A good idea is to count with a quick drying towel. If you are using dry shampoo, make sure you so it properly and you eliminate excess of oils. Use coconut and almond oils. Where can I find hair care products and a beauty salon near me in Kerala (State)? At Infoisinfo we always work hard to be able to offer you some useful information so that you can easily find the best products and services for you and your company. This time, we would like to help you to keep your hair healthy thanks to quality products and hair treatments offered by the best hair salons. Thus, we have prepared a list of the best hair care products and services in Kerala (State) for you to choose from. You can get informed or book an appointment thanks to the contact details provided such as phone numbers, websites, address and opening times. In addition, you can have a look at comments and valuations from other clients to get a better idea about the hairdressers. 1311, Ajanta Road,. Kochi. Ernakulam. KANDAMKULATHY AYURVEDA HOSPITAL, NEAR BHAVANS SCHOOL, DESHABHIMANI ROAD, ELAMAKKARA PO ERNAKULAM-682026, Edappally. Edappally. Ernakulam. Dr. Mushtaq’s Skin Clinic And Cosmetology Centre Chammany House Grace Villa Kattakkara Junction Kaloor (PO) Kochi – 682 017. Kochi. Ernakulam. Skindays, Shingarathoppil Tower, Vallikeezhu, Kavanadu,, Kollam. Kollam. Kollam. In 2017, Dr.Anu founded Skindays to offer an unrivaled level of care and comfort, and make a real difference in the lives of her patients. First Floor, Kingsway Projects, East Fort Junction, Thrissur, Opp Lens and Frames, Maheswari Tower, MG Road, Thrissur, Thrissur. Thrissur. Thrissur. TC 42/1530, Chengalloor, Poojapura. Thiruvananthapuram. Thiruvananthapuram. DHI Hair Plants G189, Panampilly Nagar Near Panampilly Nagar Post Office Kochi -36, Kerala. Parakkadav. Ernakulam. Ayur Zamhita Herbals, 64/408(3), Thiruvananthapuram - 695002, Thiruvananthapuram. Thiruvananthapuram. Thiruvananthapuram. Nelliakkattu Mana, Kizhakombu P O, Koothattukulam, Ernakulam Dist., Kochi. Kochi. Ernakulam. Ayurvedic medicated oil, manufacture and suply of otc segment which cover eye care, hair rejuvenatory, hair care and weight reduction. Shaloo Niwas, Near Market, Ranny-perunad, Naranamoozhy. Ranni. Pathanamthitta. Yaki bulk keratin extensions, wigs, artificial hairs, black hairs, hand tied, machine weft hairs, bleached hairs, remy human hair, micro hairs. N.p. Tower, West Fort. Thrissur. Thrissur. Home appliances, powder, trade and suply of consumer items, bio-cera , cosmetic items, glass, plates, shampoo. 33/1882, Adappilly Road, Vennala P.o.. Kochi. Ernakulam. Dandruf oil, 200ml, dheedhi shampoo 100ml, massage oil, manufacture and export of hair care oil, hair care cap, skin, skin care oil. Main Road, H. O. Thodupuzha, Thodupuzha. Thodupuzha. Idukki. Manufacture and export of ayurvedic classical medicine, ayurvedic personal care , ayurvedic ethical , ayurvedic spa. Muthalamada (post), Muthalamada. Kollengode. Palakkad. Herbal facial pack, medicinal bath soap, ayurvedic tooth powder, manufacture and suply, hair oil, dry jinger coffee. No.Tc 9/1242, H No A11, Ambuja Building, Cpgp Lane, Near Taxi Stand, Sasthamangalam, Thiruvananthapu. Thiruvananthapuram. Thiruvananthapuram. 49/171 Temple Street, Karnaki Nagar, Moothanthara,. Palakkad. Palakkad. Nithyananda Building, Main road, KANHANGAD. Kanhangad. Kasaragod.